Leading Minds provides a wide array of individualized Career Coaching services. 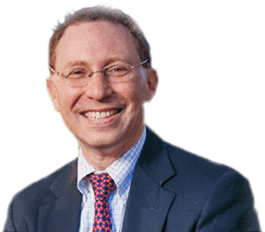 Drawing on the principles of “positive psychology,” Dr. David Brendel uses evidence-based best coaching practices to help his clients move their lives and their careers forward. His focus is on collaborating with clients to identify their core challenges, formulate a clear plan of action, and implement a meaningful solution. Click here to learn more and request Dr. Brendel’s papers on his approach to career coaching. Here is a case study of how Leading Minds had a positive impact on the life and career of a soon-to-be father and pharmaceutical company executive. James consulted me for an evaluation of possible adult ADD (attention deficit disorder), a recommendation regarding medication for the condition, and discussion about the impact that his inattention was beginning to have in the workplace. He was fearful that the problem would lead to a poor performance review and compromise his ability to be promoted in the upcoming months. A comprehensive interview about his personal history and current situation revealed no clear evidence of ADD. There were times in college when he didn’t pay attention in class and he tended to procrastinate when it came to writing term papers. The same had been in true in high school, when a neuropsychological evaluation suggested that he had mild to moderate difficulties with reading speed and comprehension. However, he completed high school, college, and business school with good grades and he was able to move smoothly into a successful career in marketing. James did not meet diagnostic criteria for ADD and there was no clear indication for medication. After earning his trust to explore the possibility of underlying personal or emotional reasons for his poor focus on work tasks, I conducted a series of Active Inquiry conversations (and other best practice coaching conversations) in which I asked him open-ended questions about other issues in his life that might be distracting him from his work at the pharmaceutical company. It turned out that James was in a state of emotional turmoil about his relationship with his fiancé, who had become pregnant a few months ago and decided to leave her job, in anticipation of giving birth and no longer working outside the home. Since her salary as an attorney was about the same as James’s salary, their family income had been cut in half at a time when James wanted to save money to buy a larger house for the growing family. James knew that promotion to a senior position would mean a 20% raise, but it would also mean longer hours at the office and more frequent business travel. He was sad that he would not be as available to their first-born child when he moved into this new role. Part of him wished that his fiance would continue to work part time, so that James would not need to take the promotion immediately and would have more family time. He was, however, guilty and ambivalent about this thought. Part of him was also eager to receive the promotion and see his salary and year-end bonus increase. Our discussion quickly moved from a question about ADD to an exploration of the personal issues that were distracting him so badly. James found that Active Inquiry and other coaching conversations helped him to articulate the major issues in his work and home life. He became hopeful that his attention and work performance would improve if he resolved the marital issues, stabilized his finances, and grappled with his upcoming role as a working dad. The career coaching approach helped James to develop a strategic plan to improve his life situation. It prompted him to have important discussions with his fiancé about his worries. In the ensuing weeks, they together worked out a plan to ensure their financial well-being and better clarify their roles in the growing family. The coaching process also prompted James to deepen his relationships with two mentors at work who could help him to negotiate favorable terms around his impending promotion. He steered the meetings he had with these mentors toward helpful discussions about how to make the promotion a reality that would fit well with his family commitments. He has remained concerned, but much less distressed, about work/life balance issues as our coaching work continues. James has developed much more confidence that he can proactively solve his problems on his own. With this growth in self-confidence, he consistently reports that his attention and productivity at work are 95% better and he is hopeful about getting promoted soon. His goal in our ongoing work is to further sharpen his understanding of his changing roles at work and at home. He uses coaching sessions very well to reflect on his situation, identify strategic career goals, and hold himself accountable to reaching them.